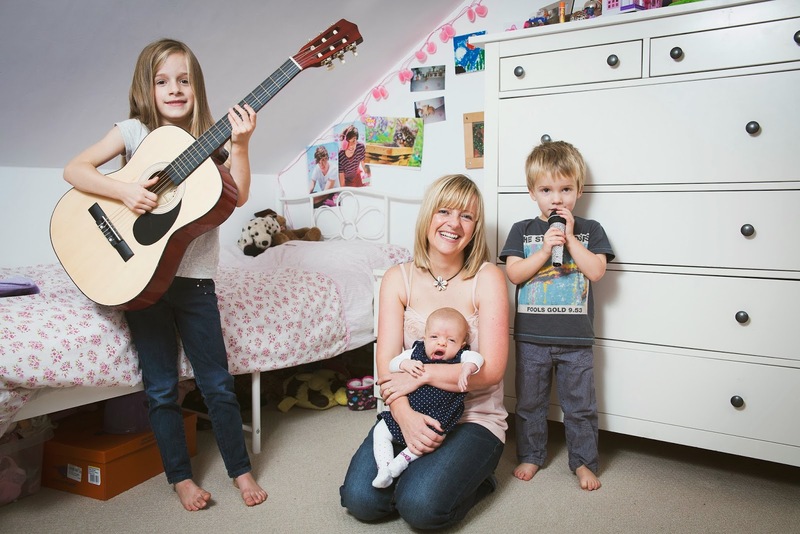 Expectations of motherhood: When I was pregnant for the first time I was really aware of the mother my mum had been. I didn’t want to be the same but her values and morals had been instilled in me. I knew I wanted to pass them down to my daughter. I also had this real awareness that she was never going to meet her grandaughter as she had died years previously and I missed her greatly. I wanted to learn from her mistakes as I knew my daughter would learn from mine. I remember thinking my life wasn’t going to change too much and I would have tea out and a few drinks with a sleeping baby all tucked up in a buggy next to me. How wrong was I? 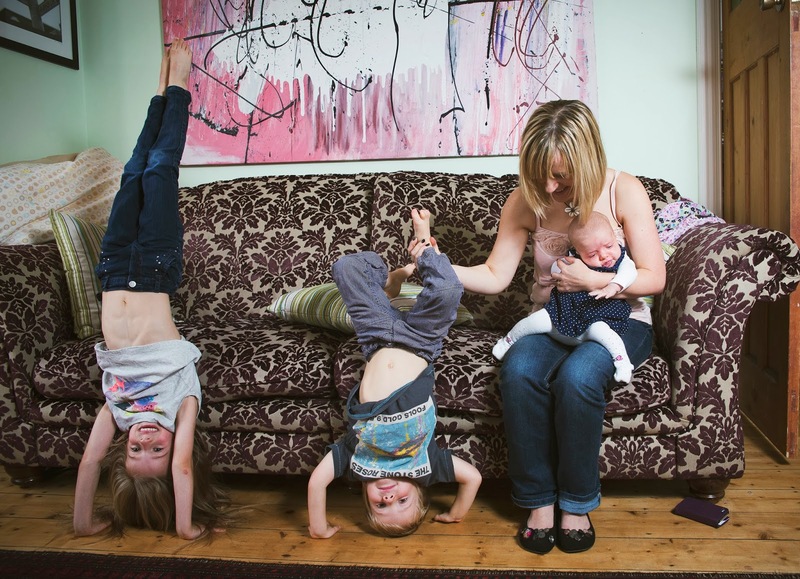 Reality of motherhood: I think the most scary thing of all is the worry that comes with being a mum. The need to make sure your child is ok. I think as I have had my fourth child the things that would have stressed me out when Willow was a baby don’t stress me anywhere near as much with Honey. The love is invincible. It can never be broken and the need to get it right for them and to admit when I have got it wrong is so important. I say to willow all the time that she will understand how much I love her when he has a child of her own. I don’t think I ever understood how much my mum loved me until I had Willow. When I first met Darren and he already had a 2 year old daughter Primrose and I remember thinking I had no idea what to do with a child. 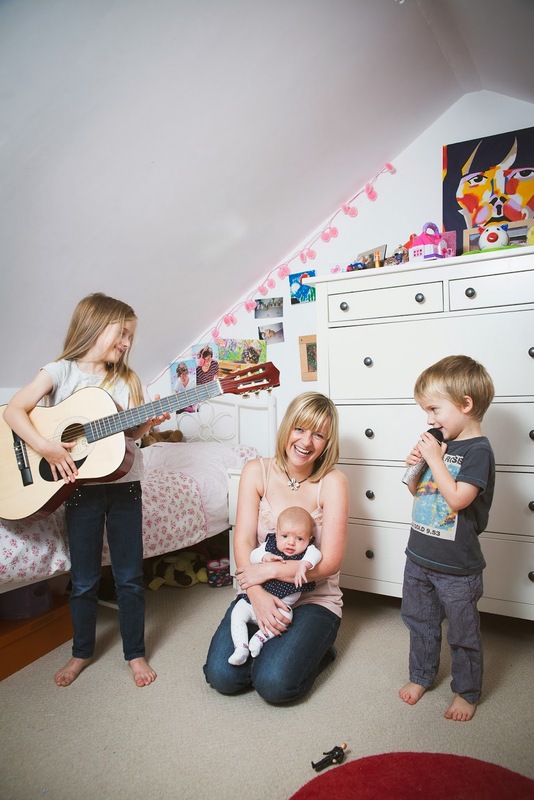 It took time, and I’ve found the role of being a step-mum is just as hard and rewarding as the role of a mum. A major breakthrough for me in those early days was when Primrose likened me to Truly Scrumptious from Chiity Chitty Bang Bang – someone who was a friend to the children and the ‘daddy’. As she has become a beautiful (and stroppy) teenager, I am so proud that she can speak to me about relationships and friendships. Becoming a mum for the first time when you haven’t made the choice to become a mum takes a lot of time and patience, but I learnt such a lot from Primrose in those early days. Willow is a mini me, I look at her and I feel I know her inside out, her worries, her kindness. She is a beautiful girl and so easy to be around. 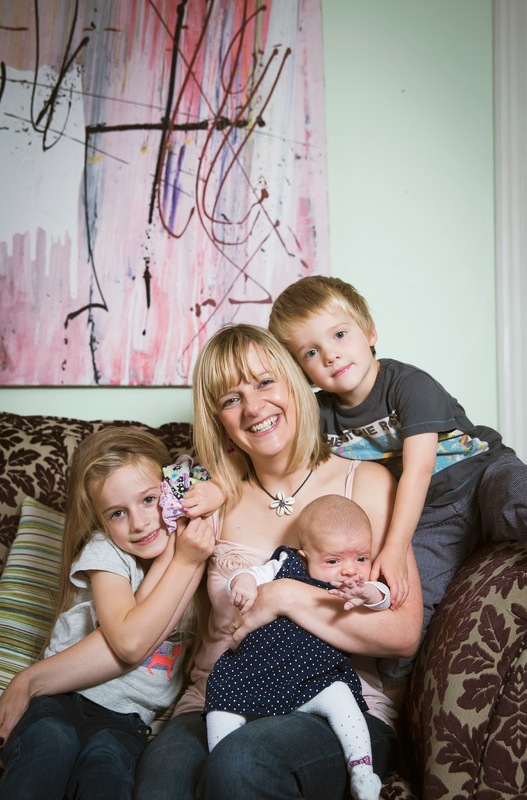 The reality of her birth was completely different than expected, I expected to use homeopathy and aromatherapy and ended up with a crash c-section under general anaesthetic hearing the words ‘we don’t have a minute…… ‘ as I went under. I initially felt traumatised by her birth as I honestly believed we were going to die, but I do feel the fact that new mums share birthing stories helped the natural healing process and I think I talked about it a lot initially. Our third child Luca (or scamp as he is known) is such a life wire. A boisterous little fella who just wants to fight and jump around. My heart melts when he calls me his loveheart or tells me I am beautiful. It makes trying to get him ready for school in the morning whilst breastfeeding Honey all worth it. And then there is Honey! Our miracle baby. When Luca was a few months old, Darren was diagnosed with stage 4 non hodgkins lymphoma. He had a huge tumour in his chest which had collapsed a lung and was attached to his heart. It had also spread to his adrenal glands. 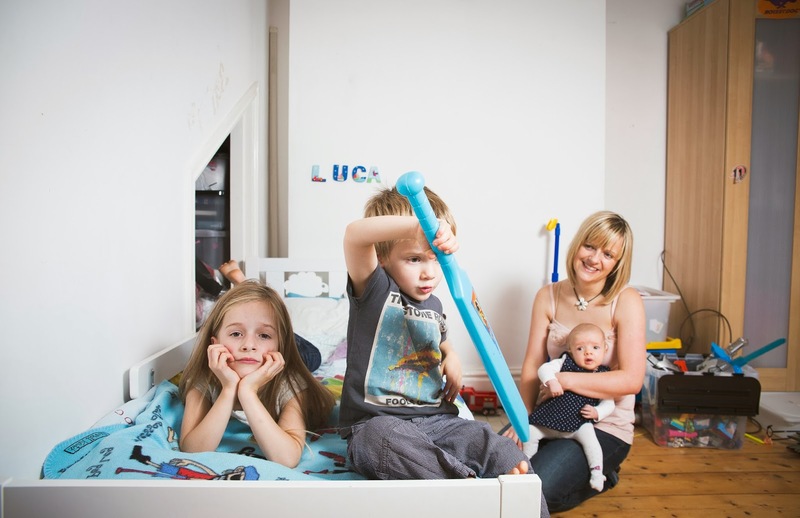 He spent Luca’s first 18 months in and out of hospital with infections and chemo and radiotherapy. At the time I felt the need to keep everything as normal as possible. I returned to full-time work from mat leave and got on with the usual chaos of being a mum and partner. I don’t think it was until he got the all clear I really felt the emotions of seeing him so very unwell. My friends still talk about the fact I didn’t share with them some of the times he was in hospital with horrendous infections, or when he had a mild heart attack and he drove himself to hospital whilst I put the kids in the bath and read them stories. It was the most difficult time in our lives, but has had the most positive impact. I am so grateful that I am able to be a partner to him and every day of being a mum to my gorgeous children is something to be so very thankful for. Since then Darren set up a charitable organisation called Nelly Globe which he says is a tribute to how I kept the family together when he was ill. I don’t think I did anything any differently to any other mother. Taking your children home: It is so lovely walking through your front door with your baby. Each time I have loved that and just being home with your family is just wonderful. I always feel like it all looks different after a few days in hospital and this time I noticed how much my other children had missed me as well. Being in a newborn bubble getting to know the newest member of our family is a privilege as well as the relief that we have all made it home in one piece. Best advice: My lovely Aunty and mother-in-law seem to have a way of settling a baby instantly and never look flustered with a newborn. I think babies love the calmness they bring. Worst advice: I can’t remember it I guess I probably didn’t listen. I guess people only give it with good intentions and everyone has a different way. Some people may think my way is ridiculous. The best parts of being a mother: The endless cuddles and hearing the words, ‘I love you’. Hearing Primrose singing, watching Willow doing a cartwheel and Luca saying ‘you are my life and I love my life mama’. Those first smiles from Honey are amazing and thinking at the moment as a breastfed baby she needs nothing else in her life. As a working mum I love that moment at the end of the day when I pick my kids up from nursery or afterschool club and especially when they are young and they fall into your arms. The hardest parts about being a mother: The hardest part for me is leaving the house; it may seem ridiculous, but getting three or four kids to all be in the car with shoes, coats, book bags, bags, PE kits, pack lunches, spare clothes and nappies is so stressful. I used to think my job as a psychiatric nurse was stressful, but now I always feel like I have done a full days work before getting there. I often arrive at work without my coat in the rain or snow. Has being a mother changed you? : I am more aware of the world we are leaving for our children, I am more aware of my surroundings and the beauty of living in a good and supportive community. I think I worry more about the actions of others and how they impact on my family, I worry a lot more now, but I think a lot of parents do. I also realised much more how much my mum loved me and I wish I had been able to to tell her that before she died. Hopes for my family: All I could wish for is a happy and healthy life. I am not bothered what they do or how they do it as long as they are happy. What advice would I give new and expectant mothers? You know best – better than midwives, health visitors, your GP, your next door neighbour, your mum or your best friend! Trust your instinct, he or she is your baby and has just spent nine months growing inside you. Every baby is different, you may breast or bottle-feed and they will be fine, don’t let anyone make you feel guilty for the choices you make, they are all with the best intentions for your beautiful baby. Enjoy it, before you know it they are stroppy teenagers wanting to go out by themselves which brings a whole new worry. Enjoy every second – even the sleeplessness and the worry a newborn brings – it is magical and exhilarating as well as tiring and hard,but it can’t be repeated and it moves on so quickly.